Welcome to the Lego Marvel’s Avengers Minikits locations guide that will show you where to find the total of 150 Minikits locations for the PS4, PS3, Xbox One, Xbox 360, Wii U, PC, Mac, PS Vita & 3DS action-adventure game. As a bonus for finding all 10 Minikit locations in each of the 15 levels — making for 150 to collect in all — you will unlock a unique Comic Book Cover for each level. Which you can view in The Collector’s room* aboard the SHIELD Helicarrier. * To find The Collector’s room on the SHIELD Helicarrier, from the Manhattan open world fly to the SHIELD Helicarrier and from the deck take the elevator down into the Control Room. In there keep walking to the back until you reach a grey hallway, walk forward and go to the back again and take the first right-side door into a room with a bright white light. Walk into the orb white light to be transported into The Collector’s Room who you can buy Red Bricks from at the computer panel in the middle of the room. How to find missing Minikits? : In-game the Minikits will appear simply as a “Lego Mini Kit”, which looks like a silver scubadiving air bottle with bright red and green lights on the right side of it. It can be confirmed as being Minikits simply by walking into to it, as the on-screen counter will then tell you that you’ve collected another Minikit. 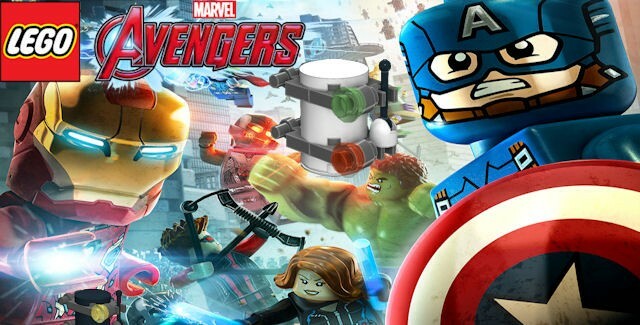 Where to find all Minikits in Lego Marvel’s Avengers? The in-game collectibles locations for the Minikits are described in this detailed video guide with handy voice-over tips by the amazing Camzillasmom. All 10 of the Minikit locations on the “Struck Off The List” level of Story Mode are shown in this video guide. • Minikit Location #1: Floating in the river. Shoot it to get it. • Minikit Location #2: Shoot the 5 blinking red lights on the floor. • Minikit Location #3: In the mine. Use grapple from Hawkeye, remove the stones with Ultron and pull the cart out with Scarlet Witch. • Minikit Location #4: Behind the Silver Bars. Use Iron Man to blow them away and Captain America to lift up the protection. • Minikit Location #5: Detect the Avengers platform with Iron Man, use it with Captain America and Thor. • Minikit Location #6: Sneak (Black Widow) to the camera off switch and use mind control (Scarlet Witch) on the man at the turret. • Minikit Location #7: Pick it up with Iron Man while flying round the castle. • Minikit Location #8: Still in the Area of the Mini Access with Vision. Go to the right, destroy the guard house and build a platform for Quicksilver. • Minikit Location #9: Still in the Area of the Mini Access with Vision. Cut out the golden shape with Iron Man and fly up to pick up the Minikit. • Minikit Location #10: Use Black Widow to detect the hidden agility spots, use them to get this 10th Minikit. Note: Whenever one of the Minikits from a Free Play stage was already collected in Story Mode, they will still be shown how to unlock it. If they are already collected, then in the visual guide (and your game) they will be replaced by a blue or purple stud. All 10 of the Minikit locations on the “A Loki Entrance” level of Story Mode are shown in this video guide. • Minikit Location #11: Destroy the dark stone in the frame with Ultron. • Minikit Location #12: Bottom area. Use Hulk on the green handle bars to open and destroy that box. • Minikit Location #13: Up the ladder again. At the far right there is a bull’s eye for Hawk eye. Shoot and fly over to collect the Minikit. • Minikit Location #14: Up the ladder again. There is a power coil for Thor to charge up. • Minikit Location #15: After the ladder, ground floor there is a little area to the left where Iron Man needs to fix a little device that carries a Minikit. • Minikit Location #16: Left in the back. There is a slot for Captain America’s Shield. The door opens and Scarlet Witch can discover the Minikit. • Minikit Location #17: Right in the back next to the big gate is a pink Mini Access for Vision. • Minikit Location #18: After you turned on the sprinklers and fixed the car, there is an access panel to the left. Open the door and use Iron Man to cut the shape. • Minikit Location #19: Go back to the terminal which you used to turn on the sprinklers. Select a HYDRA agent and activate the terminal. • Minikit Location #20: Catch it while driving the car. All 10 of the Minikit locations on the “Rail Hydra” level of Story Mode are shown in this video guide. • Minikit Location #21: Find and shoot 5 Captain America Posters. • Minikit Location #22: Use Telekinesis with Scarlet Witch and play basketball. • Minikit Location #23: Use the SHIELD Terminal with a Hydra Agent, here Doctor List. Clean 5 dirty patches with the machine. • Minikit Location #24: On top of the elevator entrance. Needs flying. • Minikit Location #25: To the right, before entering the elevator, next to the collector. Use Iron Man to blow up the golden area and use Quicksilver on the platform. • Minikit Location #26: At the top floor, build the climbing frame, climb over. The Minikit is at the left side. • Minikit Location #27: Sneak past the camera with Black Widow. • Minikit Location #28: At the back of the train climb down. • Minikit Location #29: Use Iron Man to destroy the golden vents, build a kite and jump up to fly. • Minikit Location #30: At the part, where the train wagon is destroyed and you fall down. There is a door at the back. Use Black Widow to discover a Bull’s Eye, shoot. All 10 of the Minikit locations on the “Shakespeare in the Park” level of Story Mode are shown in this video guide. • Minikit Location #31: Use the terminal with a SHIELD Agent like Bruce Banner. • Minikit Location #32: Fly up because the Minikit is close to the ship in the air. • Minikit Location #33: Blow up the silver chain off the bikes and ride the bike along the stud trail. • Minikit Location #34: Destroy stuff and build the pink Mini Access at the restaurant to the left so Vision can go through. • Minikit Location #35: Destroy the Black Lego Bricks in the car with Ultron. • Minikit Location #36: There is a big broken clock at the top of the big building in the center. Fly up with Vision and use telekinesis. Pick the Minikit up on the floor. • Minikit Location #37: Shoot the 5 Spiders. • Minikit Location #38: Dig up a car with Squirrel Girl and complete the race. • Minikit Location #39: Grow the flower with Scarlet Witch. • Minikit Location #40: Destroy the stone wall with Thor. All 10 of the Minikit locations on the “Helicarrier Havoc” level of Story Mode are shown in this video guide. • Minikit Location #41: Right at the start of the level, behind the boxes to the right. • Minikit Location #42: At the forklift, discover a rail with Black Widow and jump up to it. The Minikit is under the box. • Minikit Location #43: Right on the other side use Thor on the power coil and sneak in with Black Widow’s Stealth to get the Minikit. • Minikit Location #44: At the top of the last set of the blue & white arrow-painted climbing walls. • Minikit Location #45: Top left. Shoot the glass with Hawkeye to get the Minikit. • Minikit Location #46: Shoot the 5 Silver Terminals. • Minikit Location #47: Access the 2 SHIELD Terminals with a HUDRA Agent like Doctor List. • Minikit Location #48: Put the SHIELD coat of arms together again. Use a Telekinesis character like Scarlet Witch. • Minikit Location #49: Discover the area at the left with Iron Man and charge the power coil with Thor. • Minikit Location #50: Use Mind Control with Scarlet Witch on the man behind the glass. Lego Marvel’s Avengers Minikits Locations Guide continues on Page 2 with Level 6.